Mechanical Bull Rental Rent the Mechanical Bull for your next corporate or church function, birthday party or special event. 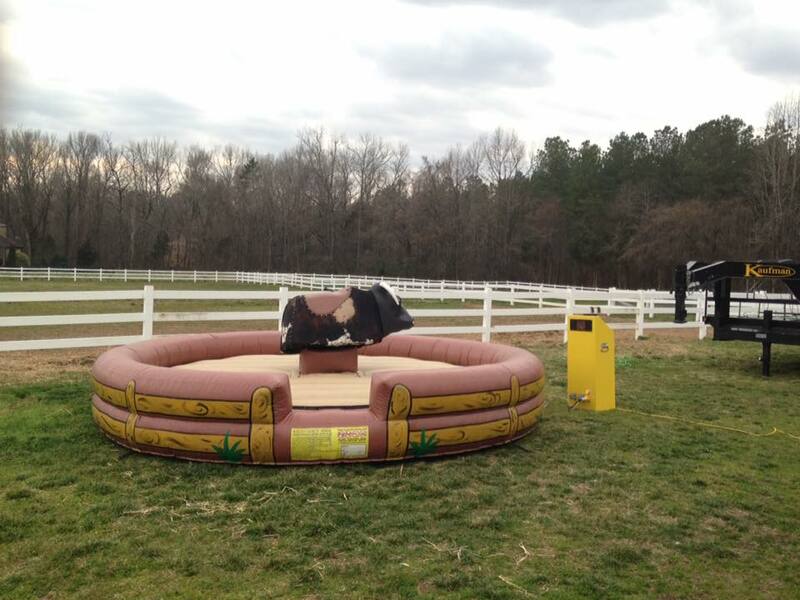 The Mechanical Bull is available for rent in Mecklenburg County as well as surrounding counties in North Carolina and South Carolina. The Mechanical Bull is a serious challenge, testing your ability to ride just like the cowboys. Safe enough for children, tough enough for professional bull riders! The Mechanical Bull Simulator is more than just a ride, it’s an experience filled with realistic rodeo action. See if YOU can survive the bull’s wrath for the full 8 second challenge the real rodeo kings are subjected to. 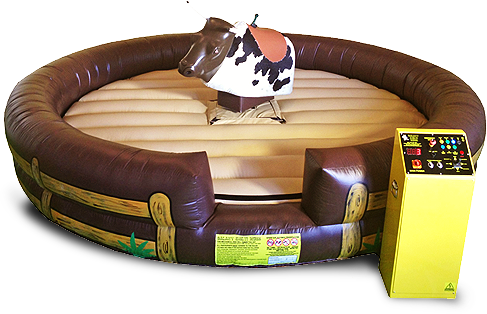 Pricing includes an trained Jumpin Jacks attendant to operate the Mechanical Bull. All riders will be required to sign a waiver before they ride. We require a 20 ft by 20 ft flat area and two (2) dedicated 20 amp circuits or generator. within 50 ft.